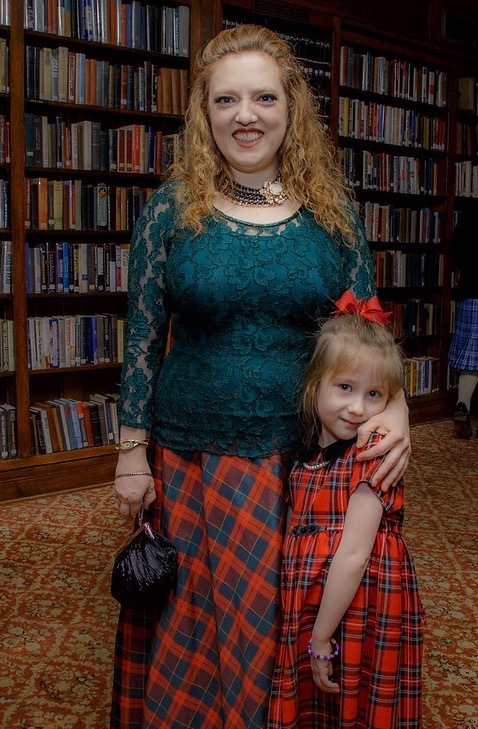 Rockin' violinist plays for Awesome Vegans Liveand brings her daughter! 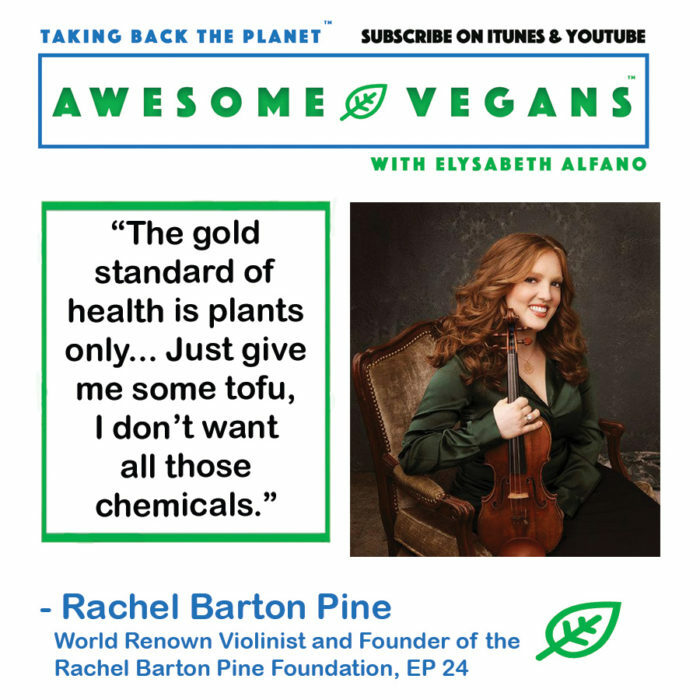 On this episode of Awesome Vegans, I’m over the moon to be in the company of Rachel Barton Pine, a world renown violinist and vegan. 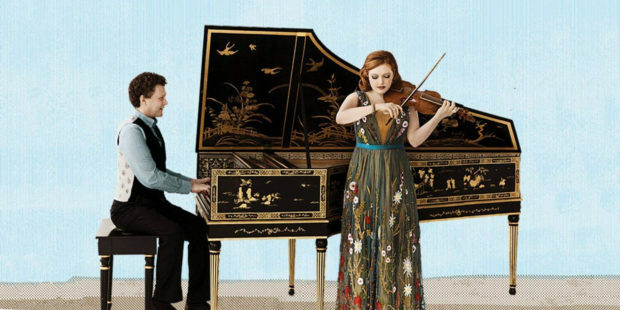 With over 30 CDs to her credit, Rachel Barton Pine has played in concert halls all around the world. She is also the founder of the RBP Foundation. She has an amazing lifestyle of being a vegan and teaching her daughter how to do so along the way. When people think about vegans, perhaps they think about hippies and extremists. Rachel blows that stereotype to smithereens, showing that all sorts of people can be vegan. As she tackles the world music industry and takes on the demanding life of an internationally traveling and performing violinist, her vegan regime enables her to maintain the stamina she needs. All the while, she is also showing her daughter how to live a vegan life. Daughter by her side, Rachel tackles the world. 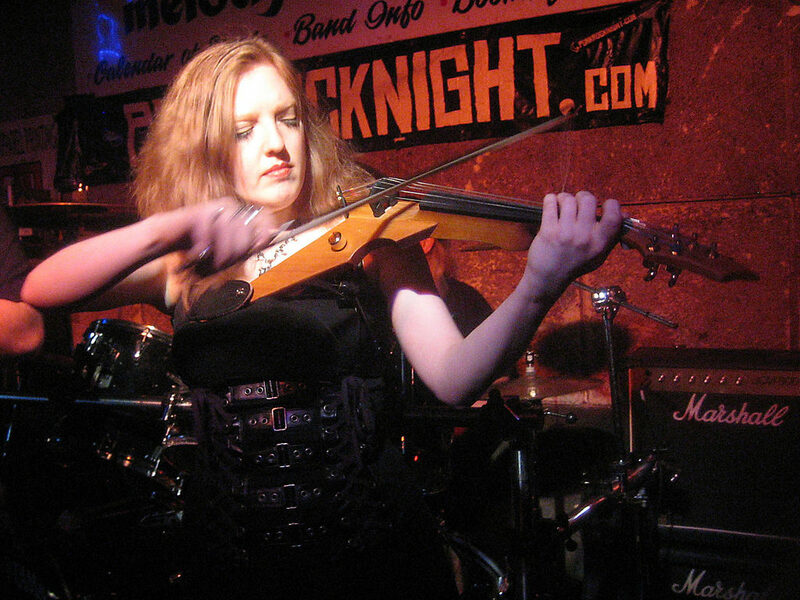 Rachel Plays many genres of music with her violin. Here she plays the blues with a piece from Perkinson called “Louisiana Blues Strut”. 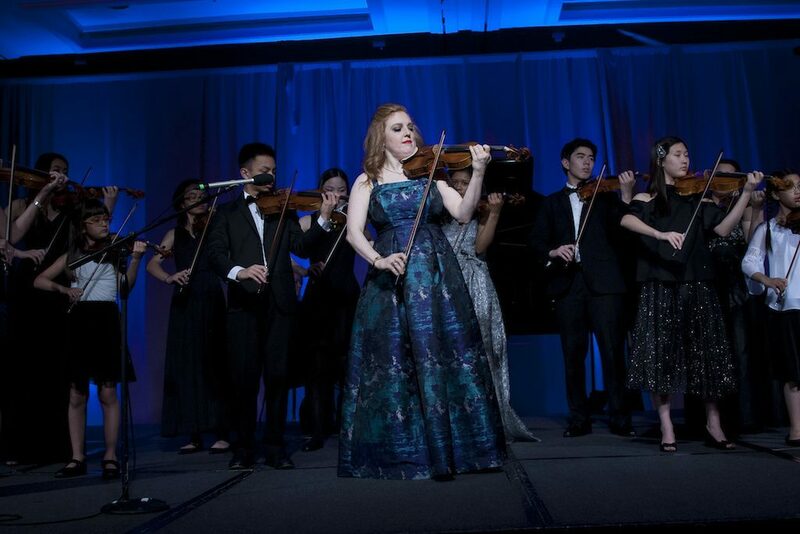 Rachel Barton Pines plays for us a “Gigue in E Major”. 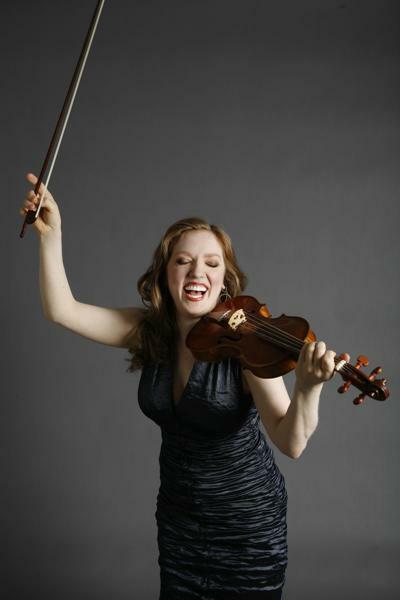 This piece is from one of her favorite composers, Bach, from Partita no.3. As a traveling musician, Rachel shares some tips and tricks for keeping the vegan lifestyle while on the road. Join me as Rachel Barton Pine and I talk about the negative impacts of animal agriculture and how going vegan can actually help our planet and our health. 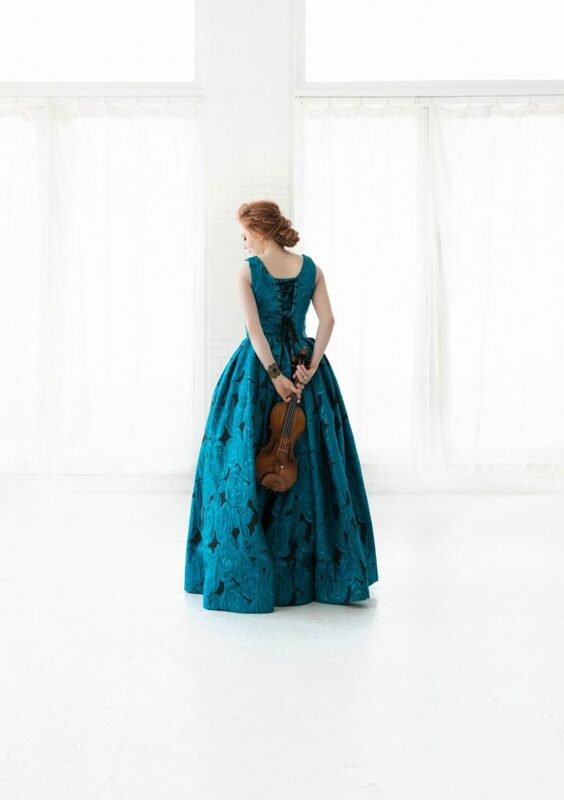 Also, listen as Rachel performs three times, playing multiple genres of music and even a duet with her daughter, with passion, ferver and exquisite grace that is quintessential Rachel Barton Pine. Pine plays violin with others. Thank you to WGN Radio which airs all of the Awesome Vegans Podcasts! In addition, Elysabeth can be heard live on WGN Radio hosting, Nightside, from 11p-1a, periodically every month. Thank you to VegFund for supporting this podcast.